A perfect gift for a letter writer in your life, or for your own stash of cards throughout the year. Many buyers have also chosen to frame them for gifts. Nine card packs now available for $25 for 10 cards, including envelopes, or select your own collection from the designs below. Free collection from Eden Hills or $5 postage and handling. Contact me on info@cathleo.com.au to order. Please allow one week before delivery via Australia Post, unless I have stock available. Choose from any of the card designs above, in a black or natural wood frame for $20, plus delivery. 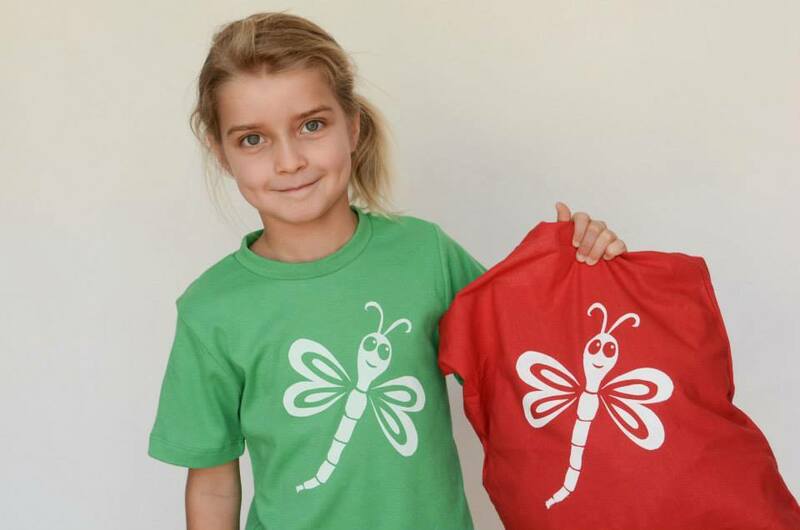 I’ve been hand printing a range of designs on children’s and adult t-shirts for 10 years now. Designs have varied over the years but mainly feature native animals, or active themes – based on a desire to see ‘wholesome’ images on kids t-shirts in particular. I print on tops from baby size 00 right up to big kid sizes to suit up to 9 year olds ($15 each), and then Adult men and women styles in S, M, L and XL ($25 each). Designs and styles may come and go so please contact me to find out what is currently available in your chosen size. Here are some samples but please email with your required size and gender and I can tell you what I have available. Machine painted t-shirts and hoodies also available through my Redbubble site, click here to view the range.